$450.81+ Intel Beast Good Value For The Price! Not the exact fan in my system but it's the closest match. Normally it uses power through a MOLEX connector and is extremely loud. I cut the wire and dropped in a custom circuit for regulating speed based on temp. I put the circuit with the temp sensor ad the bottom of the case where most of the heat builds up. 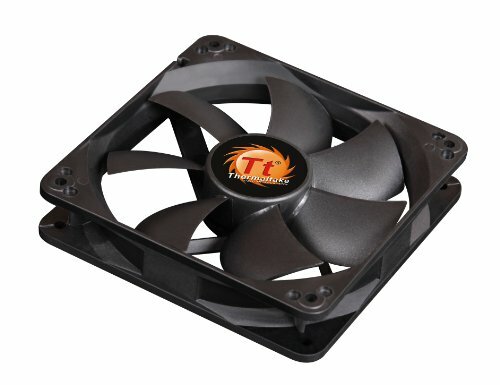 Since this fan has much higher airflow than the other fans it helps pull out the heat more quickly. It also allows it to run much more quietly than normal, only getting loud while the GPU is under significant load.